August is here - doesn’t the Summer seem to be flying by? 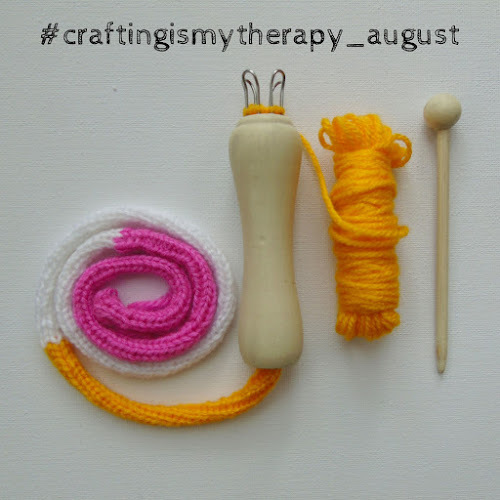 A new month means a new hashtag for our creative Instagram community. 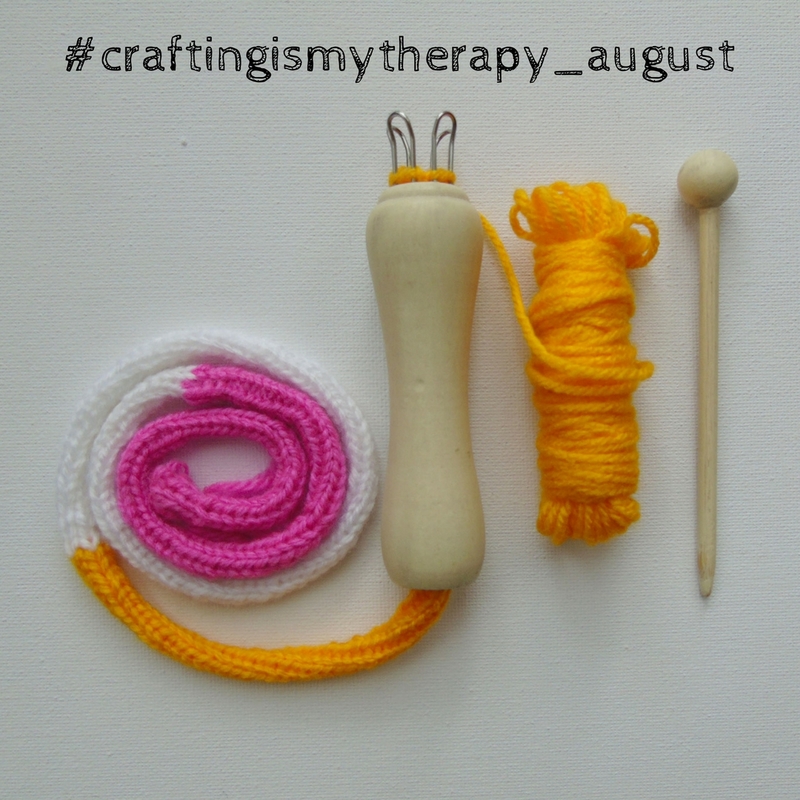 We'd love to see your crafty makes throughout August - just add the tag #craftingismytherapy_august to include your images in our gallery. This month we are collaborating with Posca Pens to giveaway a ‘uni-Posca Pastel Packs’, which includes a set of Signo Pastel Ink pens and a pack of Pastel Posca PC-5M pens. 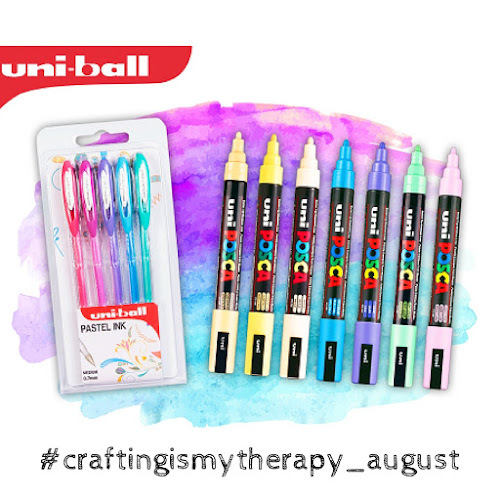 These pastel pens are perfect for summer crafting. 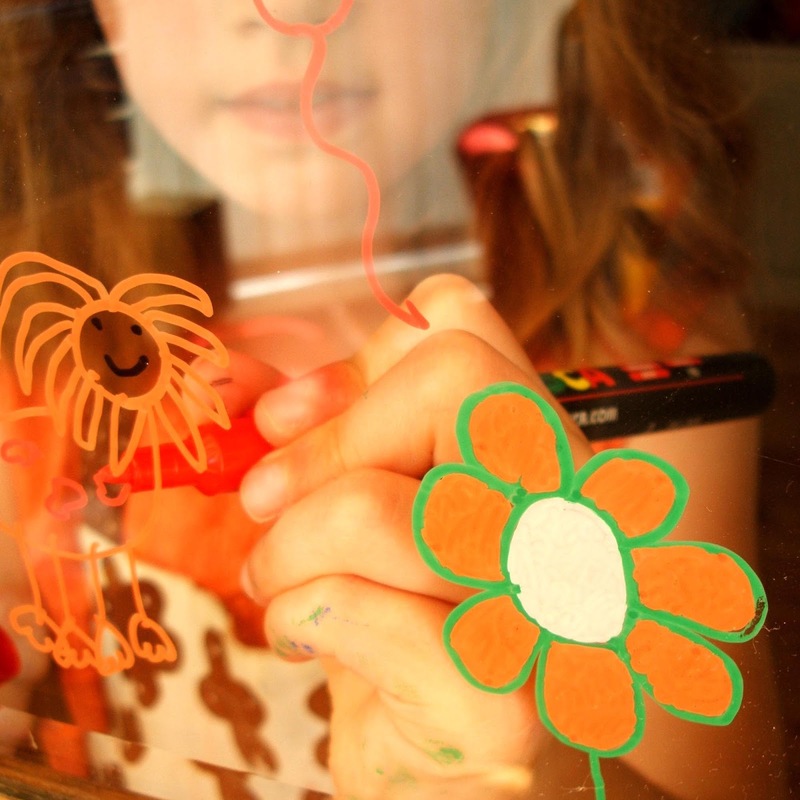 Posca pens work brilliantly on all sorts of surfaces so you could use them for decorating stones and shells from the beach. Why not try drawing some summery designs on your windows (it washes off!). The Pastel Ink Pens would be perfect for writing those holiday postcards or filling out a holiday journal or scrapbook. I wrote a blog post last Summer when Posca kindly sent me a set of their pens to review. I absolutely love these pens, click here if you’d like to take a look at my review from 2016. I'd also like to introduce our new co-host for August - Teresa from @shirleyrainbow_tb. Teresa is a regular contributor to our Instagram community. 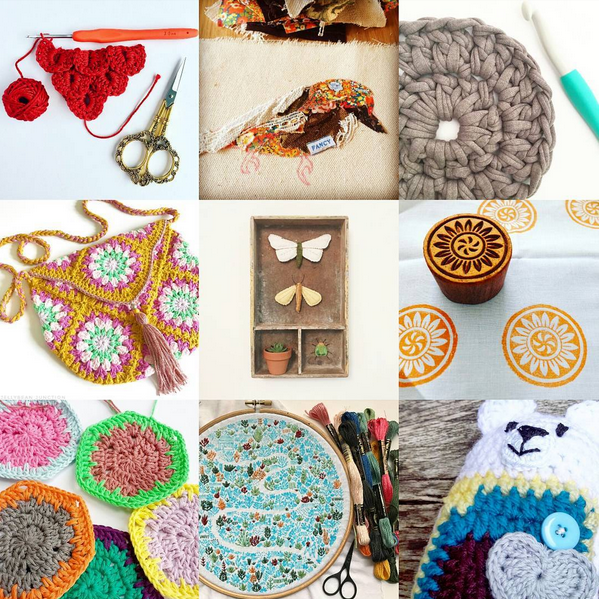 Here Instagram feed is full of crochet and embroidery projects and I always love the colour palette she uses within her work. You can see more of Teresa’s creative exploits over on her blog. 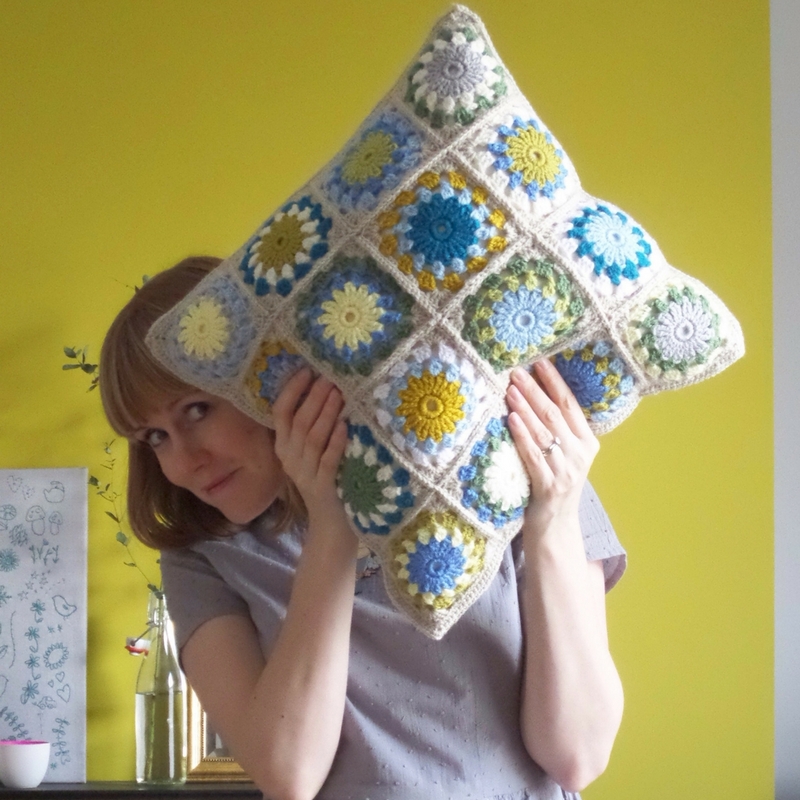 We also have to say a big ‘thank you’ to July’s’s co-host, Jen from Crafticland, we’ve loved having her on board!. The giveaway will remain open until 11.55pm (GMT) on Thursday 31st August 2017.